At Skyline we pride ourselves on producing stunning graphics that will attract visitors to your display stand. With a wide range of materials and finishes available to them, the team will discuss the best possible solution to ensure the greatest impact for your display solution. Graphics provide the finishing touch to any display, and our highly experienced design team work with clients and agencies to optimise branding and messaging to ensure the message and positioning is just right. All graphics are created in-house using the highest quality materials. 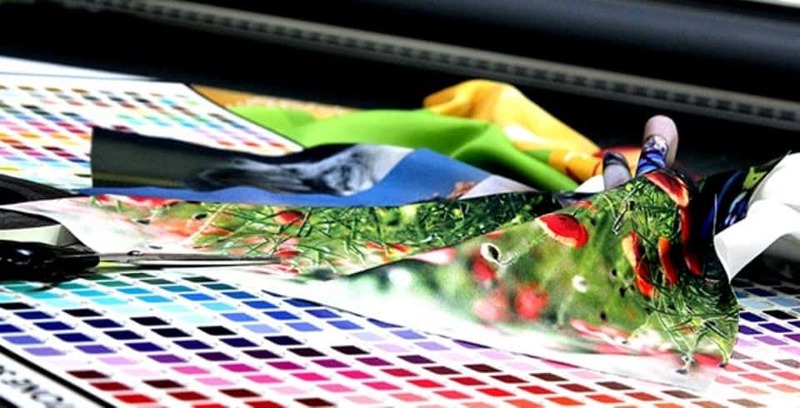 We produce inkjet, digital heat set and dye-sublimation fabrics and vinyl for stunning effects. Inkjet graphics are mainly used for our range of lightweight, self-build portable display stands including our 3000R Banner Stands and Mirage Pop-Up Displays. With vibrant colour and photo-realistic quality, our premium inkjet graphics are mounted using only the highest quality materials to give a rollable, scratch-resistant, durable finish. We have a range of fabrics, from sheer to heavyweight. Fabric graphics provide a stunning backdrop to any stand and are lightweight and compact. Skyline Fabric Graphics are colourfast and not susceptible to fading from UV light. All graphics are washable and can be ironed or steamed. Vinyl graphics provide rich, consistent colour and are perfect for backlit graphics. Vinyl graphics can be applied directly onto laminate panels for a great look that’s easy to update and change. Vinyl graphics are ideal for exhibition displays, workstations and floors. All our graphics are designed to fit our displays. We use special polarised magnets for perfect alignment, custom tension clips for taut graphics that won’t sag, and quality backing materials to give you the best look and finish possible. With full in-house graphic production, Skyline can create a graphic solution to meet any need or requirement. Skyline graphics are known within the industry for their quality and longevity. We build displays and graphics that will look great from the first event and well into the future.